Main focus: Excellent for targeting the thighs, lower back and especially your glutes (bum) – a lot of what you need to ‘flick your hips’ through the night! They also stretch your stomach muscles helping to flatten your abs making you look and feel more confident. Without CoolBoard: Pelvic rise done on the floor fix your shoulders and feet relative to each other, so the only work being done is in lifting your body weight. 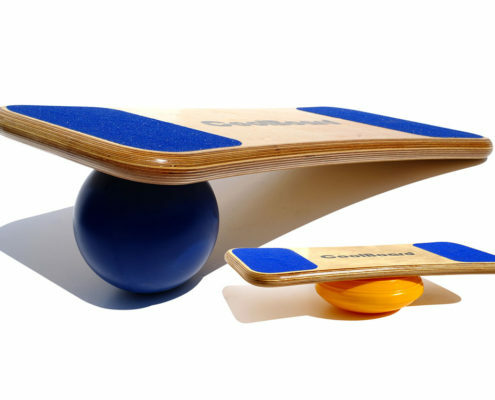 With CoolBoard: now your feet can move in all directions. Your body must control and minimise that movement so more muscles must do more work. Your core and many stabilising structures must constantly work to hold the CoolBoard steady while executing the Pelvic Rise. Think gym ball training on steroids!